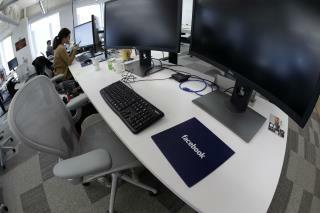 (Newser) – Facebook is changing the rules for its employees. The embattled company will now tie bonuses more to their work on social issues than to company growth, Fortune reports. The change will support the new goals announced last week by CEO Mark Zuckerberg. Those goals include maintaining user security and data privacy, per the Financial Times, and curbing the spread of fake news, hate speech, and misinformation through the site. The social media company is under pressure to improve its handling of all those issues. Facebook's nearly 36,000 employees were told of the change on Tuesday, but they don't know exactly how progress will be measured; that's up to a committee to decide. Those who censored conservative views more. Liberalism sure does love and need its censorship, like any fascist dogma. In other words, a creative way of reducing bonuses.